Guys, I’ve been wanting to make these cupcakes for a while now…ever since I sent Sean to the liquor store to buy some hard cider for a braised pork thing I was doing. But, he couldn’t find my favorite (Crispin) cider, so he bought a 6-pack of a different kind and it ended up being spiced…which, of course, wasn’t what I had in mind, but total A for effort! 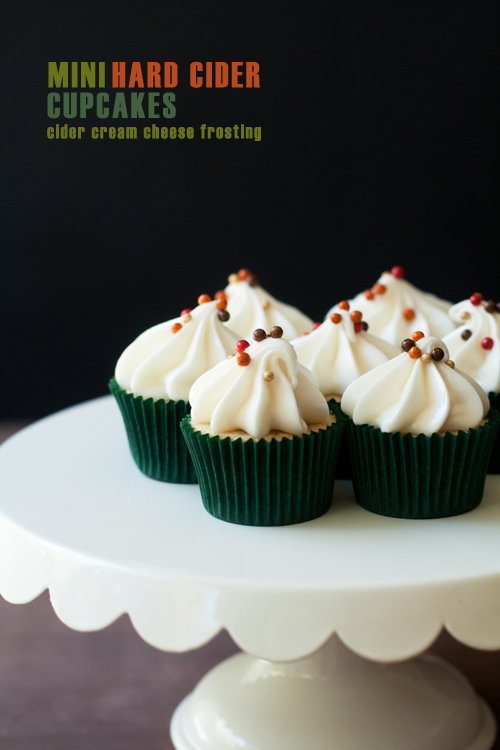 So, in order to waste-not, I came up with this hard cider cupcake idea and oh, man…it ended up being a happy accident. I was so surprised by how much the hard cider flavor really comes through in these minis and in the frosting. There aren’t any actual apples in this recipe, but the apple flavor from the cider really shines, plus it lends a pleasant booziness. 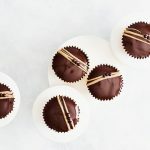 These cupcakes are made in my favorite way for any cake or cupcake, by beating the butter with the flour mixture…instead of beating the butter and sugar until fluffy and then gently folding in the flour at the end. I love this method because it always produces a cake with a fine, almost dense crumb, but manages to remain light and spongey, yet tender. The thing is, the butter fat coats the flour which kind of waterproofs the gluten, so when you add the liquid the water doesn’t activate the glutens and prevents them from becoming gummy and chewy. BOOM! So if you have some hard cider waning away in your fridge, looking for some way to be consumed, or even if you’re just a fan of booze-laced treats, these tender little dudes are just the thing. Makes about 48 miniature cupcakes. I used Angry Orchard Cinnful Apple Hard Cider in this recipe, since Sean couldn’t find the cider I usually buy…for drinkin’. It turned out to be perfect for these cupcakes. You can use whatever hard cider you want. Preheat your oven to 350˚F and line two mini muffin tins with 48 cupcake liners. In the bowl of a mixer or using a hand mixer and mixing bowl, beat the butter until creamy, about 1 minute. In another bowl, whisk together the flour, cinnamon, nutmeg, baking powder, salt, and sugar. Add it to the butter and beat until the mixture is combined and resembles a crumble topping. Add the eggs, 1 at a time, scraping after each, once incorporated continue to beat for about 2 minutes until light and fluffy. Scrape down the bowl and add the vanilla, followed by the hard cider and beat until just combined. Scoop heaping tablespoonfuls of batter into each muffin liner, I like to use a mini cookie scoop with a levered handle (also known as a disher). Bake 1 pan at a time in the center of the oven for 14-16 minutes or until the tops are dry and spring back to the touch. Remove from oven and cool on a rack while you make the frosting. Repeat with remaining pan. These look SO good. And I love those fall-time sprinkles, girlfren! thanks, girl! I bet you’d love these! and, seasonal sprinkles for life! 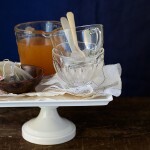 these look fantastic and are definitely on my list of things to make! i have to ask — where did you get those fall-colored sprinkles? they’re adorable. thanks, Mel! I picked up the sprinkles from the fall/halloween section at Target. 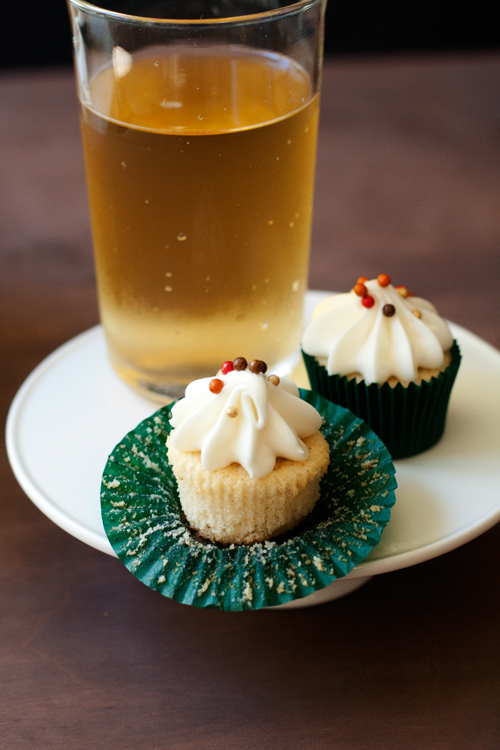 I would never have thought to combine apple cider and cupcakes! Very cute and looks simple enough! Thanks for the share. Cindy! Look at that frosting and those sprinkles..all fancy like Love it!! I need a mini cupcake pan so I can get down with these. YES YOU DO! GET IT! I did not know these things about cupcakes and what changes depending on when you add the butter… GENIUS. Totes trying that method next time (and these cupcakes, too)! I hope you do…and let me know! Those sound amazing! I think they are now on my holiday baking list. Cindy they look so good! I mean with hard cider and frosting in one place, you can’t go wrong. Also love your links post. That 17 words link, so true! 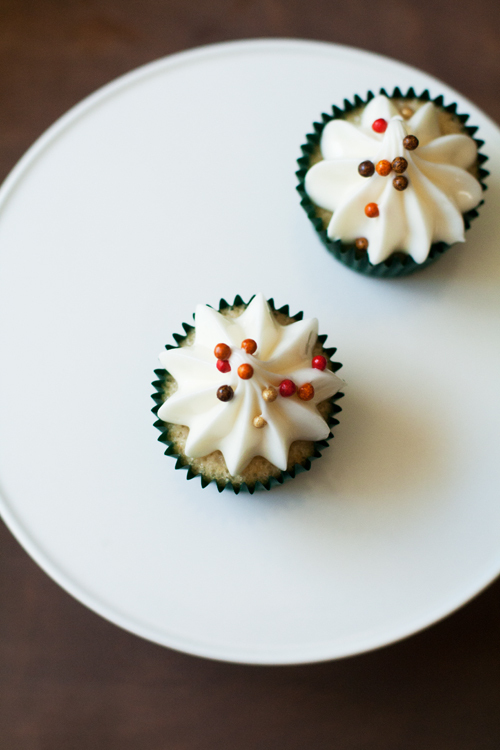 The spiced cider was fate so you could make these cupcakes! I’ve never made cupcakes using that method but I want to give it a try. It was destiny! Definitely let me know how it goes. How many standard/regular sized cupcakes would this recipe make? And how long baking time for those? This recipe should make about 12 standard cupcakes…and I would think they would be a 20-25 minute bake time. Now this is how I do hard cider!! Yes, please! These look and sound amazing. PLus, I prefer to eat my alcohol rather than drink it. :) Perfect! YES! I like to eat (and drink, ha) my alcohol too! 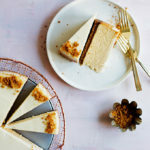 I love that tip on the method – this is my favourite texture of cupcakes too! And now I know WHY. We are learning. We love hard cider at our house. It doesn’t last very long. I’ll have to make these quick before we finish off the six pack. I totally need booze in my cupcakes. AND why haven’t I heard of that flour butter magic before?! who doesn’t?! and, yeah…one of my favorite cakes is made in this method, so I’ve been adapting all of my cake/cupcake recipes to make them this way cause I’m obsessed. These are the cutest little cupcakes ever! I have a pal who loves hard cider and has a birthday at the end of November. I will need to remember these then! these would be perfect for your hard cider lovin’ friend! Thanks Maggie! These sound so good and are such a perfect fall treat! 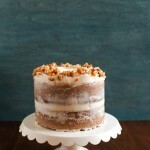 I must get my hands on some hard cider – for drinkin’ and bakin’. PS. 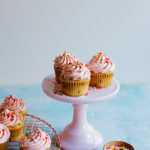 I’ve never used the butter/flour method for making cupcakes – must try that too! get your drinkin’ AND bakin’ on! and let me know how it goes if you try that method! Girl, these drunk little cupcakes are right up my alley! And they’re so cute, too. WIN! I live that there’s some cider left to drink after making the cupcakes. 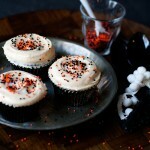 I’m making these with a Fireball whiskey buttercream frosting!